This is a continuation of yesterdays post, Edward Robinson And How To Sell Books Using Amazon KDP Select, but today we're going to talk about how to sell books either without using Select or by using a hybrid approach. There are many ways to use the permafree strategy (see: Writers: How To Use Permanently Free Books To Increase Sales). For instance, if you have a few blog posts you're especially proud of, compile them into a book and make it permanently free. I think you'd be guaranteed to get more traffic to your blog. This should be one that you feel showcases your ability. Yes you'll lose some potential revenue but you could also think of it as passive marketing. After you publish the book you can and then completely ignore it and it does it's work without you having to tweet or blog or do absolutely anything! That's attractive to all writers who feel their most valuable asset is their time. This part is easy. Publish it through any and all online bookstores you can but make sure that at least one of them will allow you to sell the book for free. (I know Smashwords will let you do this.) The other bookstores will price-match and, eventually, make your book free as well. I want to mention that I don't know how Amazon, or any other online retailer, feels about this. Ed suggests starting your first couple of books in Select then transition out once you have 3 or more books in the series. After you've written 3 books take them out of Select and, as a group, place them in all the online bookstores. Readers often want to know an author isn't going to promise the next book in the series then get busy with another writing project and never deliver. ... if you've got a squad of books, they help each other out. They pull each other up when one of them stumbles. BN, for instance, has a new releases list that goes back 90 days. You have a much better chance of climbing high up this list if you fire three titles at it all at once--giving browsers three chances to find your series--rather than hitting it with a single book at a time. There are cases in which books enter a state of positive reinforcement where they haul each other faster and faster down the track. ... when you move your books out of Amazon [Select], advertise or promote your books in some way. If you know a site that advertises to Nook users, book an ad for soon after your books go live on BN .... Do something. 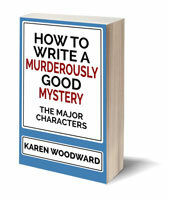 Anything at all to get some initial sales and, with any luck, provoke your books into continuing to sell. - A guest post on his friend's popular blog. - Took out an ad. - Reduced the price of both books to 99 cents. Ed kept the books at 99 cents for 5 days and, in that time, sold hundreds of copies. After the 5 days he raised the price of Breakers to $2.99 and Meltdown to $3.99. That was 6 weeks ago. They continue to sell at a rate of about 3 per day which works out to around $200 a month. Not bad at all! Perhaps the best strategy is to move your older books, books that have begun to build an audience, out of Select and distribute them to as many online bookstores as possible. Put a new book, or one that is under-preforming, in Select to see if that will help. As Ed says, Select is a tool that a writer can use. It's up to you. Experiment and find out what's best for you. As Ed says, other folks can say whatever they like, but their experiences aren't your experiences. This is still the wild west of writing and publishing so all anyone can do is pass along what has worked for them. No one knows what will work for you. You don't even know what will work for you, not unless you experiment. As Dean Wesley Smith says, there's only one way to kill a career: Stop writing. I know it's scary. I've been setting my writing and publishing goals for 2013 and I've felt an iron weight in my stomach, my heart starts to beat quicker when I think about putting my work out there. What if no one likes it? These days I don't need a horror story to keep me up at night! But that's all part of being a writer, and as I've mentioned to others, you don't have to publish under your own name. If you're nervous, create a pen name, put your work in a program like Select and see if it sells. If so, great! If not ... well, that's good to know. That's great feedback. No matter how your work is received, if you follow Heinlein's rules then you're a professional writer and that's a pretty terrific thing to be. What is your strategy for selling your books? Where do you tend to sell the most books (Amazon, Barnes & Noble, Kobo, Smashwords, etc)? 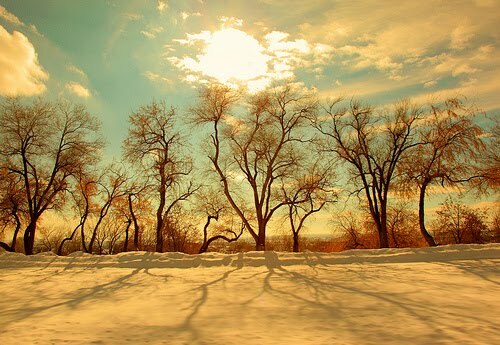 Photo credit: "Winterlight" by Pink Sherbet Photography under Creative Commons Attribute 2.0. 1- Do no use aggregators or aggregator programs which require your books to be exclusive. Regardless of so called benefits. 2- Get it out there through all the major retailers. Smashwords is very good at this, as it saves a lot of headache. 3- If you're writing a series of books, write a novel and get it out and price it correspondently. Many readers feel a complete turn off when seeing new authors pricing their works at 0.99 or 2.99. They see it cheap, they think it garbage. Price it between 3.99 and 4.99. 4- Send your book to as many reviewers you can. Treat them with respect. Don't beg, don't be arrogant, be nice, don't spam, write personalized emails to them - they're not government clerks, now are they? 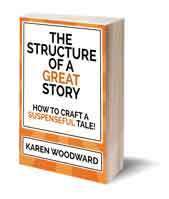 5- Second, write a short story - a bloody good one - and make it free. 6- Your previous reviewers will be much more enclined to quickly prioritize your new short story, because they liked your first one. In case they didn't yet manage to get to it, they'll be more inclined to first read your short story, and afterwards, will be addicted to read and review the original novel, the one you first sent. 7- Now go hit the gym and get yourself in shape. Then put your fingers back to work, writing book nr.2 of your series. 8- Put your books on torrent sites. Piracy doesn't sabotage sales, it helps sales. Type "Neil Gaiman piracy" on youtube, and hear what the man has to say. Make sure to add in the torrent's description, "If you enjoyed the book, and have the means, go BUY IT!" And give the relevant links where people can buy your books. Thanks for your list enachesvc, lots to think about! Especially your number 5. And yes, you're right, I should get my second book in my series out--thanks for the reminder!--though how you know I don't already use the gym is a little disturbing. Cheers, and best of luck in the New Year! Well, writing can be tedious, for the mind as well as the body. The editing is the most tedious; and after the work is done, it's a good idea to hit the gym. Depending on everyone's metabolism (and somatic type), more or less aerobic and anaerobic effort is best. I'm in the latter case. I love writing the drafts, because I get my notebook out, my pen, and start writing the old fashioned way. The editing, unfortunately, can't be done by hand, ergo my eyes have really gotten red. Still got 3 quarters of editing left before I send it to my volunteer beta readers. Best of luck to you as well ^^ 2013 is going to be bread and honey for indie folk. "writing can be tedious, for the mind as well as the body"
This is a great post. I am with kdp select but will branch out in a few months. My book has only just been released to it's early days and it will be interesting to see what happens with sales when a)the book is free and b)it is distributed later through smashwords etc. I am planning on writing a lot of short stories this year and will definitely be publishing one for free. Thanks for all the info and Happy New Year. Thanks FC! Happy New Year to you as well. I hope you blog about your writing and publishing experiences! I'm especially interested in your experience making one of your stories permafree. I think it's an excellent idea!